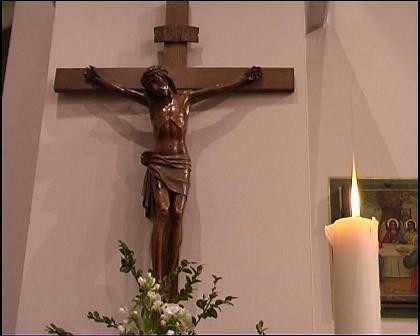 We are Catholics from one of the ancient Oriental Christian Traditions who happen to live in the UK. The Gheez-Rite Chaplaincy was established in London thanks to the untiring efforts of Abba (Fr.) 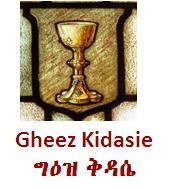 Kidane Lebasi the first Gheez-Rite Chaplain in London. The farseeing visions of the late Cardinal Basil Hume’s support and guidance helped this Chaplaincy to take deep roots in the Diocese of Westminster. 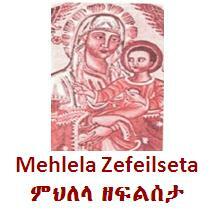 Since the early eighties, this Chaplaincy has been the meeting place of not only Catholics of Eritrea and Ethiopia, but also people of all faiths who came from the Horn of African countries who had to flee their beloved countries that were ravaged by war and strife.Since the mid 1990's, this Chaplaincy serves mainly Eritreans. To build up a Community of Christian love, to serve others in the name of the Lord according to the Oriental Gheez-Rite and under the guidance of local ordinaries of the Roman Catholic Diocese of Westminster. Gheez Terminology: Gheez (Ge'ez) is one of the four Semitic language ( the other three are Hebrew, Aramaic, and Arabic). Gheez was spoken language during the Axumite Kingdom, a kingdom that ruled in the so called Abyssinia-now Ethiopia and Eritrea. At this time, the use of the Gheez language is limited to liturgical prayers and scholastic studies. There are now three other languages derived from Gheez namely Tigre, Tigrinia and Amharic. 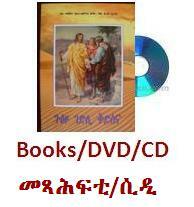 They are spoken primarily by Eritreans and Ethiopians. Eastern Rite: Eastern Church represent all the churches that were in the eastern part of the Roman Empire, as opposed to those in the western (Latin) part of the Empire. In modern usage, it includes three groups: Oriental Orthodox, Eastern Orthodox and Eastern Catholics. - Oriental Orthodox are those who accept the first three councils. They include the Armenians, Coptics, Ethio-Eretreo, Jacobite Syrians, and Malankar Indians. - Eastern Orthodox are those who accept the first seven ecumenical councils. They are associated with the ancient patriarchate churches i.e. Antioch, Alexandria. Constantinople, Jerusalem, and later Moscow. - Eastern Catholics are in full communion with the Roman Church and have been known as the "uniate" churches. We belong to this group. These eastern catholic churches maintain their original tradition. They include from Orthodox, oriental orthodox, Syrian eastern churches,... etc.